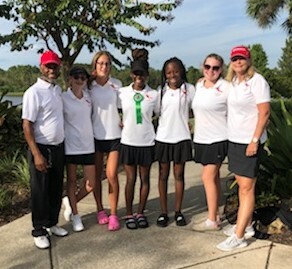 The Lady Eagles gave a valiant effort this week but fell six strokes short of earning a spot at the State Championship as a team but senior Jada McCallum did not go home empty handed. She earned 5th place honors overall, shooting 82. The team is very proud of their 10-2 record this season and the exceptional growth in skill from their newest team members. They all look forward to competing again in 2019. 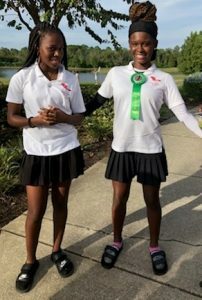 Please congratulate Jada along with junior, Alexa Harris, sophomores, Caroline Stringer and Ava Church, and freshman, Madeline Roush on a season well-played. Thank you Coach Smith for your hard work and continued encouragement.